The one with the blue sparkly glow in the dark polish! Hello out there! 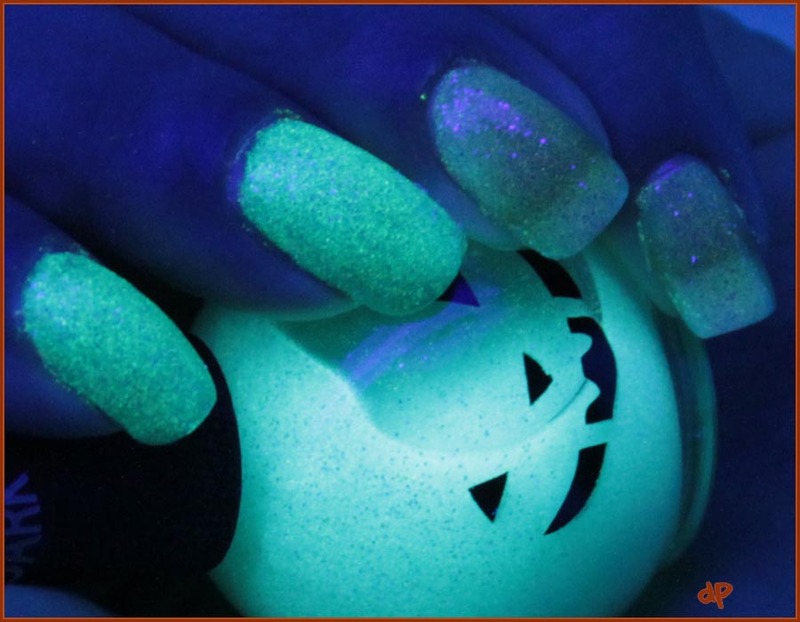 I wish I could say the light blue glow in the dark pumpkin polish is as amazing as the orange....but I can't. 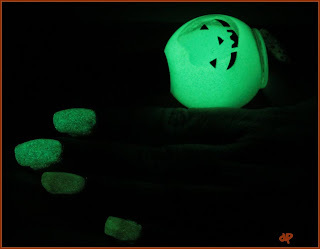 It glows, but it doesn't _pop_ the way the orange does. Kind of a letdown after what I posted yesterday! I tried an experiment with the blue one, tho. 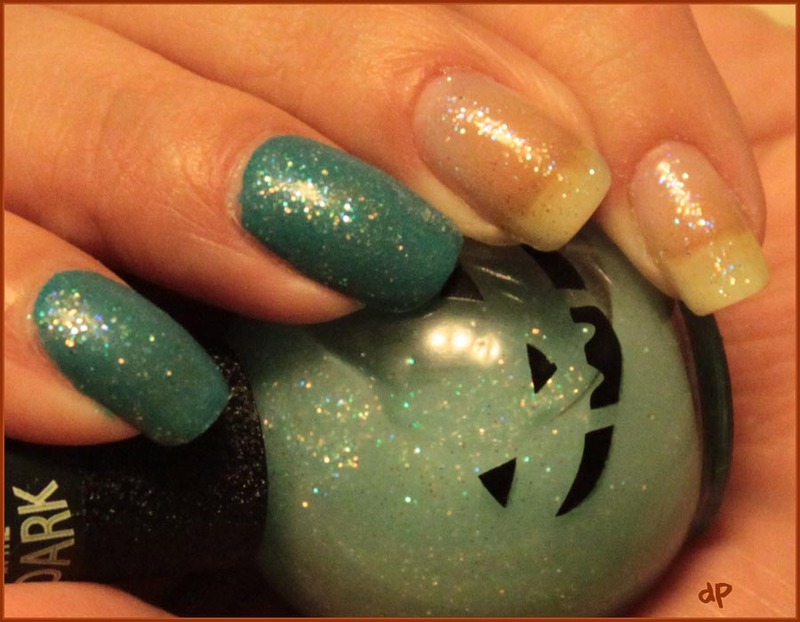 I did two nails with a base color and two nails without. For the base, I used one coat of LA Colors Sea Siren. Each nail has three coats of the glow in the dark polish. See how the polish looks really grainy? Again, I think it's the sparkles. 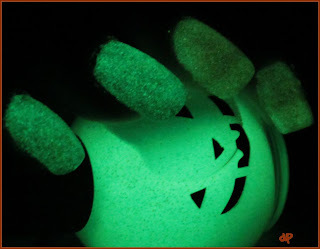 One thing I will say that I HATE about glow in the dark polishes: They show everything. 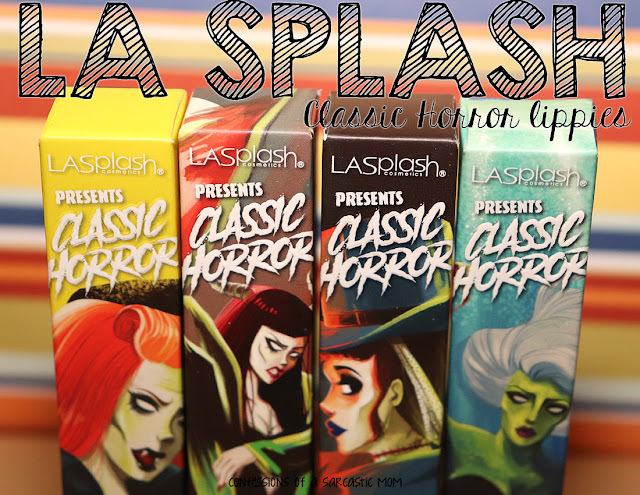 You can't "clean up" most of the time because they are sheer polishes, and you can't see them. Case in point, the bottle photo with my middle and pointer fingers.